TheMHS Board - TheMHS Learning Network Inc.
Tom Brideson is a Kamilaroi man who was born in Gunnedah, NSW. He grew up in Canberra and his family lines include Matthews and Sampson (grandparents) from Breeza, NSW. He is a member of the Red Chief Local Aboriginal Land Council. Since 2007 Tom’s has been State-wide Coordinator of the NSW Aboriginal Mental Health Workforce Program. He has been actively involved in the Aboriginal mental health area since 1993 in a broad range of roles and published a number of journal articles on issues facing the Aboriginal mental health workforce. Tom chairs the Aboriginal Advisory Committee with the NSW Centre for Rural and Remote Mental Health and was previously a Visiting Fellow of the Centre. In 2011 he was appointed to the first National Aboriginal and Torres Strait Islander Suicide Prevention Advisory Group which oversaw the development of the first national strategy in this area. In 2012 the Suicide Prevention Advisory Group merged with the Aboriginal and Torres Strait Islander Mental Health Advisory Group. That Advisory Group was made a Ministerial Advisory Group in 2013. Tom was previously appointed to the NSW Suicide Prevention Ministerial Advisory Committee 2011 – 2012. He is a member of the NSW Aboriginal Grief and Loss Project Advisory Committee of the NSW Institute of Psychiatry. Tom is a consultant to Indigenous HealthInfoNet on Social and Emotional Wellbeing. Between 2005 and 2011, Tom was a Program Leader in the Cooperative Research Centre for Aboriginal Health (CRCAH) Social and Emotional Wellbeing Program. In late 2012 Tom was elected to the Board of Indigenous Allied Health Australia and reappointed for a further 2 years in November 2013. Tom is also a member of the Congress of Australia’s First Nation People. In 2013 Tom was appointed to the Community Advisory Council of the NSW Mental Health Commission. 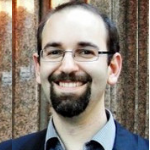 Tom has been a member of TheMHS Board since 2007 and Chair from 2012 – 2016. He convened the TheMHS Summer Forum in 2008 on Aboriginal and Torres Strait Islander Mental Health. He has contributed to TheMHS Awards as a judge for a number of years and been involved in many of the pre-conference Forums on Aboriginal and Torres Strait Islander mental health. 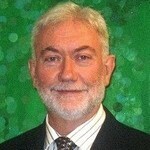 Tom is a Judge of the TheMHS Mental Health Achievement Awards. The Board unanimously agree that the TheMHS organisation will continue to strive towards ensuring our work will align to these 3 documents. 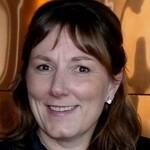 Cath is an Associate Professor at The Matilda Centre for Research in Mental Health and Substance Use at the University of Sydney, where she is also Program Director of an NHMRC Centre for Research Excellence in Prevention and Early Intervention in Mental Illness and Substance Use (PREMISE). She began her career at St Vincent’s Hospital in Sydney conducting mental health services research and evaluation before moving to the Clinical Research Unit for Anxiety and Depression (CRUfAD) to conduct population mental health research with a focus on anxiety disorders. Her current research focuses on the epidemiology of mental health and substance use problems and the way in which data from large scale population surveys and clinical trials can inform research, prevention and treatment. 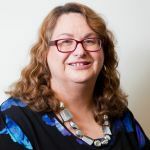 Having been a member of TheMHS Board since 2000, Cath was a Co-convenor of the Summer Forum Program from 2008-2015, a member of the Conference Proceedings Editorial Board since 1998 and TheMHS Administrative Committee since 2009. She has held a number of other positions within the organisation including Scientific Program and Conference Convenor (2002), member Scientific Program Committee (2010), Chair of the Board (2011, 2012) and Deputy Treasurer (2017). B. Occ. Ther., University of Queensland; B.A. (Hons) Psychology, Macquarie University. Lynne has a love of working with people and has a strong belief in partnership and consumer-centred ways of working. She is a registered Psychologist and previously has worked for many years as an Occupational Therapist. 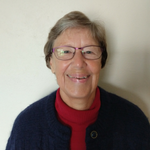 Lynne currently works with Dementia Australia as a Team Leader of the National Dementia Helpline and group worker and is the Awards Manager for TheMHS. In this last position she was inspired by and fortunate to have several creative leadership roles including to establish and manage an assertive followup team and a foundling adolescent team, team leader of accommodation team including establishing and running 5 group homes and an Adult Foster Scheme. Charmain Clift Cottages – establishment committee. 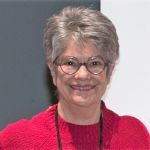 A member of TheMHS Board member since 1992 and involved in TheMHS Awards Program since its inception in 1992, Lynne also served as President in 2006 and 2007. 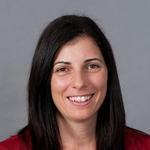 Michelle is a Mental Health Educator and Clinical Psychologist in Private Practice in Sydney. 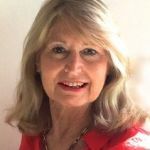 Michelle is involved in writing, teaching and evaluating education and training of Trauma Informed Care and Practice for the NSW Institute of Psychiatry and the Mental Health Co-ordinating Council. Michelle, along with Sandy Watson and Kath Thorburn, has established insideout and associates Australia, an organisation committed to supporting and promoting perspectives of mental distress that are informed by lived experience and which engages leading figures in their seminar series Critical Conversations which support the rights and dignity of those experiencing mental health problems. Michelle is also a regular presenter for ASCA, an appointed Official Visitor under the NSW Mental Health Act, a contributor to the development of MH-PoD and a member of TheMHS Board. Michelle has been involved with the TheMHS Board since 2011. Paula has been a consumer peer worker based in Northern Sydney Health since January 1998. As Manager, Ryde Consumer Services, Paula’s role includes individual and systemic advocacy, peer support and group work, consultation and liaison with consumers, staff orientation and education and mental health promotion. 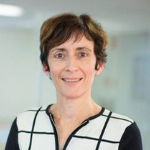 Paula is a Director for the Flourish Australia Board and an Assessor for the Australian Council on Health Care Standards reviewing services across Australia since 2000. Paula supports university student education at the University of Technology Sydney (nurses) and the Campbelltown campus of the University of Western Sydney (occupational therapists). She has also worked for the Mental Health Association NSW Inc. and New Horizons Enterprises. Paula has a BA majoring in Psychology, and together with her lived experience and personal recovery journey contributes to the progression of mental health reform in Australia. Paula has been a member of TheMHS Board since 2000. She has presented at both TheMHS Conferences and Summer Forums. Paula was a co-convenor of the consumer day for the 2010 Sydney TheMHS Conference. Paula has participated in the past as a member of the Administrative Sub-Committee and the Membership Working Party. Kevin has over 45 years of experience in mental health services, with 20 as a clinical nurse, manager, administrator and teacher. For 30 years he has worked as a Nurse Academic in the college/university sectors. He has qualifications in psychiatric and general nursing, psychology and health personnel education. In 2014, Kevin graduated with his doctoral degree from the HOPE School of Nursing, Wuhan University, Wuhan, PR of China, investigating the application of the Kellehear Holistic Model for mental health nursing. He is a foundation fellow of the Australian College of Mental Health Nurses, and a foundation adviser to the National Consortium for Multicultural Mental Health Australia, from 2003 – 2008. In addition to his record of consultancy in Mental Health Nursing and Education, Kevin has also been involved in teaching and development in several countries in the Asia Pacific region, including Samoa, Fiji, Papua New Guinea, Solomon Islands, New Zealand, as well as Indonesia, and Bahrain. He has presented at conferences nationally and internationally including keynote addresses in the United Kingdom and invited presentations in The USA, Japan, and Indonesia. Kevin is an Official Visitor in Mental Health Services within NSW, since 2016. Since presenting his first paper for TheMHS in 1992, Kevin has been involved on the Board of TheMHS, holding a range of positions and contributing to committees, conference and forum development within the organisation. Vivienne has worked in mental health services in Australia and England for over 40 years in many capacities: occupational therapist and manager, quality improvement manager, university lecturer, co-ordinator of site visit educational programs, project officer to develop mental health standards, member of research teams, mental health educator and conference director. 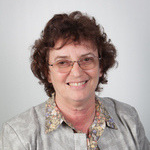 She is Member of the board of the WPA Section on Public Policy and is a member of WAPR Australia (World Association of Psychosocial Rehabilitation). She is a co-author of the National Standards for Mental Health Services (1996) and an advisor to the National Mental Health Workforce Standards and the 2010 revision of the National Standards for Mental Health Services. She holds a Masters in Education and Work (Macquarie University) and an undergraduate degree in European Languages at Macquarie University, studying Italian so she can learn more about the Italian reforms in mental health, but also to travel to Italy for the coffee, food, art and the people. She was the founder and Chair of NECTA (Network for Exploring Creativity through the Arts) for 30 years until 2010. Currently she is involved in the development of a Mind Museum, Arts and Neuroscience Park on the ex-psychiatric hospital site at Callan Park, Sydney. Vivienne is currently the Conference Director of the largest, most inclusive mental health conference in Australia (TheMHS Conference). TheMHS attracts over 1000 clinicians, managers, team leaders, consumers, families, educators, policy-makers and researchers annually; provides bursaries for consumers (people with mental illness) to attend the conference; administers and organises national mental health service achievement awards. RN, BHSc (Nursing), MLitt, PhD. Fiona Orr is the Director of International Students and Activities in the Faculty of Health at the University of Technology Sydney, and is a lecturer in mental health nursing. She is a registered nurse with clinical experience in hospital-based and community mental health services, and she has extensive experience in the tertiary education and health care sectors. Fiona has developed innovative approaches to teaching and learning in mental health education. For example, she co-designed a live simulation with experts by lived experience of mental disorder to develop students’ therapeutic communication skills. She also co-developed a voice-hearing simulation workshop to develop students’ awareness of the effects of voice-hearing and their empathy for people who hear voices. In 2013 she received a UTS Learning and Teaching award for ‘Strengthening the UTS Model of Learning’, and in 2015 she received an Australian Award for University Teaching, ‘Outstanding Contributions to Student Learning’. Fiona has been involved with TheMHS Board since 2015. MA (Education and Work)(Macq); Dip OT (NSW). Sadie’s professional work in mental health includes Prince of Wales Psychiatric Unit (1980-84) Lower North Shore Extended Hours Team (1986-1990), RANZCP, Manager Professional Development (1995-2007) and Consultant 2008-13. Currently she is appointed as an Official Visitor in Mental Health under the NSW Ministry of Health. Sadie is an occupational therapist who has worked for many years in mental health. She started her TheMHS experience by assisting at the 1992 conference at Westmead and has been involved ever since, becoming a foundation member of the Board when TheMHS became formally incorporated. During her time with TheMHS Sadie has served as Vice Chair, Chair and Secretary of the Board. She convened the 2010 Conference in Sydney and acted as Liaison for the Canberra and other conferences. Professorial Fellow, Illawarra Institute of Mental Health, University of Wollongong, Clinical Associate Professor, Brain & Mind Centre, University of Sydney, Australia; formerly Inaugural Deputy Commissioner, Mental Health Commission of New South Wales and Research Psychiatrist, Visiting Senior Consultant Psychiatrist, Far West LHD Mental Health Service, NSW; Former Service Director, and Director of Clinical Services, Royal North Shore Hospital & Community Mental Health Services, Sydney (retired 2009 after nearly 30 years of service). Awards include Ian Simpson Award, Royal Australian & New Zealand College of Psychiatrists, 1994; Margery Johnston Award, Association of Relatives and Friends of the Mentally Ill, 1989, Officer of the Order of Australia, Queen’s Birthday Honours, 2014. In March 2013, he was appointed Deputy Commissioner of the Mental Health Commission of New South Wales. He has reviewed mental health services for governments and administrations in 5 Australian states and the ACT. He has been invited speaker and/or performed consultancies on service development in several Australian states and territories, UK, Ireland, Netherlands, Sweden, Denmark, Italy, Germany, USA, Canada, China, Thailand, Hong Kong, Argentina, Spain, Portugal and New Zealand. He is the author or co author of more than 140 published journal articles or chapters on studies of 24 hour community based alternatives to acute and long term inpatient care, rehabilitation and recovery, assertive case management and integrated mental health service systems; more inclusive interdisciplinary mental health teams, including peer workers, early intervention in psychosis; psychiatric stigma; dual disorders, deinstitutionalization, consumer issues, family interventions, Aboriginal, developing country, rural and remote mental health, cultural influences on mental health service systems, qualitative and quantitative outcome measures, recovery measurement, impaired doctors, research and evaluation in mental health, service standards, the National Mental Health Strategy, global community psychiatry, Human Rights of individuals with severe and persistent mental illnesses, international comparisons between Mental Health Commissions, and the history of Australian Psychiatry. 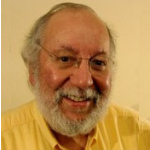 Alan has been involved with TheMHS since 1991 as a founding Board member. He has presented at TheMHS Conferences and Summer Forums on a wide variety of topics since its inception. Tully is policy and strategy specialist, NGO executive and consultant. He is the Deputy CEO of Homelessness NSW, where he oversees an range of workforce, L&D and organisational development initiatives which aim to improve the quality of the 160 Specialised Homelessness Services in NSW. Over the past 15 years he has worked at the highest levels of human service development and mental health reform. He has held leadership positions with organisations including the NSW Mental Health Commission, Suicide Prevention Australia, Mental Health Coordinating Council, Blue Knot Foundation (CoE for Complex Trauma). In 2018 he also led the State Insurance Regulatory Authority (SIRA) Health Economic and Commissioning strategy, which provided analytic guidance for $2 billion of annual health expenditure in NSW. Tully has supported TheMHS events since he was a teenager and has enjoyed watching it grow to become the largest gathering of mental health professionals in the country. Maree Teesson is Professor and Director of The Matilda Centre for Research in Mental Health and Substance Use, Director of the NHMRC Centre of Research Excellence in Prevention and Early Intervention in Mental Illness and Substance Use (PREMISE) and NHMRC Principal Research Fellow at The University of Sydney. Maree was announced as a Companion of the Order of Australia in the Australia Day 2018 Honours List. 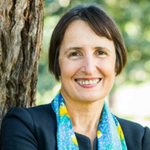 She is also a Fellow of the Australian Academy of Health and Medical Sciences and the Australian Academy of Social Sciences, a National Mental Health Commissioner and Member, National Health and Medical Research Council. Maree’s vision is to build the world’s leading dedicated translational research program for the prevention and treatment of co-occurring mental health and substance use problems. She seeks to increase our understanding of substance use and mental health problems, prevent these where possible and improve treatment responses. She is also a long term member of TheMHS Board, since 1991. Barbara is a Clinical Psychologist. She began working in mental health in1985 when she joined the newly formed Mental Health Crisis Team in the Illawarra region and has also worked in clinical psychology roles in a variety of clinical mental health settings. Prior to 1985 she worked as a registered General /midwifery nurse. Barbara was a Lecturer at Wollongong University and Senior Lecturer at Queensland University of Technology where she developed, taught and coordinated Post Graduate Mental Health programs. Her research includes the study “Recovery from Schizophrenia: A consumer perspective,” funded by National MH Strategy. This research with co-investigators Helen Glover and Dr Kalyanasundaram, received the research award from the Schizophrenia Fellowship Brisbane. It remains one of the largest qualitative research studies of this type in Australia and overseas. This research has been replicated in Boulder Colorado, Madison Wisconsin and Trieste Italy. She has been an external consultant and evaluator for numerous mental health projects focused on recovery from mental health challenges and from lived experience perspectives. Barbara has attended TheMHS conferences since 1995 with her first formal role being on the local program TheMHS Conference Committee in 1996. Barbara has supported the consumer and carer forums in particular. Barbara joined the Board in 2010 and has since been involved in a liaison role in 2011, 2012, 2017 and 2018.